White Pines Entertainment is ready to provide wonderful live music at your next event. We offer special music for wedding ceremonies and receptions and feature a wide variety of ensembles to fit your every need. White Pines Entertainment has been performing throughout Michigan for many years. 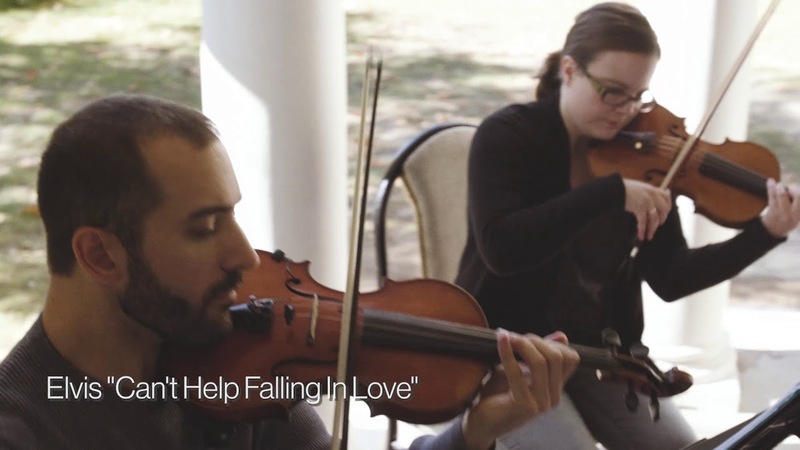 White Pines Entertainment is composed of extremely talented musicians all of whom hold degrees from prestigious universities and conservatories and have years of experience performing in weddings and events. Please visit our website to hear our audio and get to know us! White Pines Entertainment was a complete pleasure to work with. Not only are they professional and talented musicians, they are a very nice group of people. Michelle was very responsive with emailing, accommodating with the selections I chose, and just an all around pleasant person to work with. I gave them direction on where to play for the ceremony and reception before hand. They all showed up and moved from one area for the ceremony to the next for the reception without any more interaction or direction from me. They are completely competent and very able! Obviously very experienced with different kinds of events. I would recommend them to anyone and also to play at any future event that I host. The musicians arrived on time and were thoroughly prepared (they knew which songs we had requested for specific events during the wedding). They scouted out the indoor and outdoor playing areas and wanted to ensure their performance would go smoothly. The wedding and reception music was perfect. We received many comments from guests that they enjoyed the musicians and song selections; we left reception song selection to the musicians and they set a wonderful mood. The manager has excellent communication skills and quickly responded to any questions to had. The music was beautiful. White pines was easy to work with, perfectly reliable, and incredibly talented. More than met our expectations. Very professional and the music was beautiful. They played during the ceremony and it was absolutely beautiful, I've gotten so many comments about how great they were. Absolutely Thrilled with White Pines! My husband and I are both musicians, so live music was a requirement for us when it came to our wedding ceremony and reception. Unfortunately, pricing for a live band was way out of our budget so we had to settle for a DJ. White Pines was able to help fulfill our wedding dreams though! We hired a string trio to play our reception and a pianist for our cocktail hour - affordable and incredibly talented!!! We heard compliments from so may people on their performances. Michelle, the organizer, was an absolute pleasure to work with. She responded to all my questions with a sense of urgency - even when she had just had a baby!! Would definitely recommend this company to anyone looking for event entertainment! My wife and I were struggling with what to do for musicians at our wedding ceremony and then I found white pines. They were always super responsive and very helpful. I think their prices are very fair for what we got. Obviously the day of the wedding was hectic and the two musicians showed up and were fabulous. You could tell this was not their first time and they helped make the ceremony beautiful. They were so on point and did not require very much guidance to do such a great job. Thank you so much! I really enjoyed working with Michelle and White Pines Entertainment. The music was lovely, but I particularly enjoyed the responsiveness and professionalism during the planning process. This set my mind at ease while planning such a large event for our University of Michigan graduation ceremony. Would certainly recommend. The entire performance of the string trip was absolutely stunning and amazing. We had so many compliments on our wedding music and it tied together the entire wedding ceremony. Thank you so much white pines entertainment! White Pines Entertainment did an excellent job! I highly recommend them for your musical needs! White Pines provided the exact quality of music I was looking for during my wedding ceremony and cocktail hour. A 10! on a scale of 1-5. Absolutely wonderful. I was thrilled to have White Pines provide the music for my daughter's wedding. White Pines manager Michelle and the group are exceptionally talented, versatile professionals. Very accommodating and easy to work with. Exactly what I was hoping for and exactly what you hear on their website. I will definitely recommend them to friends and family. Worth every penny I spent!! 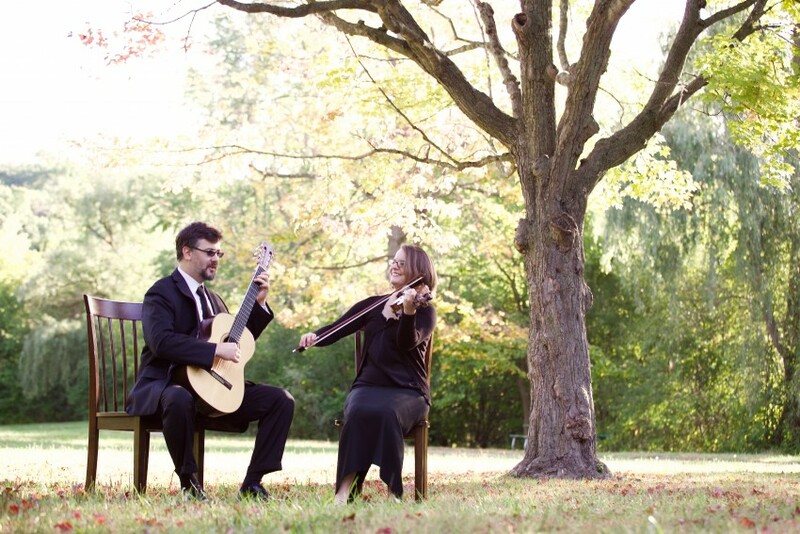 My husband and I hired White Pines Entertainment to play a string duo for our outdoor wedding ceremony. They were above and beyond fantastic. They really set the tone for our ceremony and left a huge impression on our guests - everyone loved them and raved about them all evening! 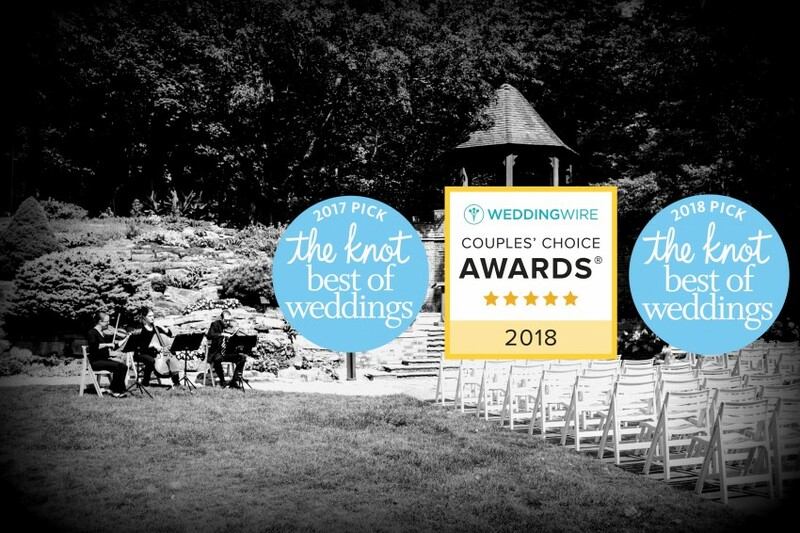 They were extremely easy to communicate with, knew exactly what we we were needed for our event, and even recommended a local band to play during our reception that matched the sound we wanted. They worked with us on all of our requests and were very professional. Most importantly, they are extremely skilled musicians that really know what they are doing. Beyond their impeccable sound, they completely took care of themselves during our event. They understand that brides and grooms are busy on their wedding day and were self-sufficient in setting up, communicating with our officiant to coordinate cues, and packing up. They kept everything running smoothly and were incredibly stress-free. I highly recommend this professional, talented and friendly company. We would hire them again in a heartbeat! I hired White Pines Entertainment to perform at my wedding ceremony. They were extremely flexible and easy to work with. All of my needs were met and I felt very accommodated. They performed flawlessly and I had so many compliments from our guests. Definitely recommend!! Fantastic group. So easy to work with, extremely professional and expert musicians who were receptive and accommodating. I highly recommend them. The violinist was awesome and we were stunned!!! 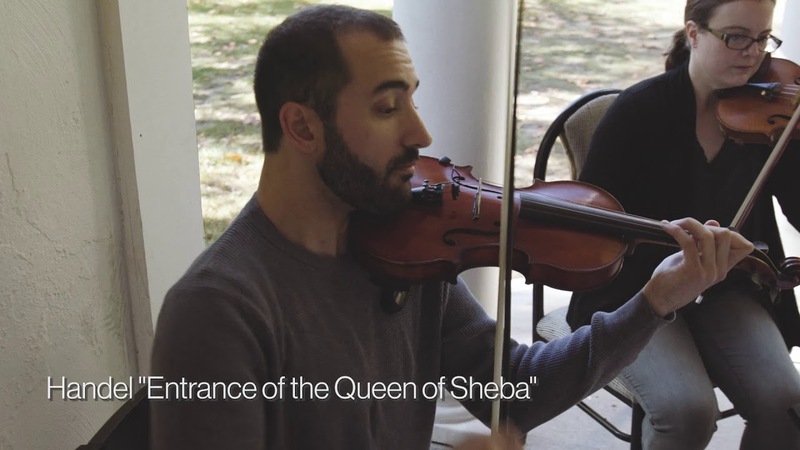 Every musician who plays with our group has received performance degrees from the highest level conservatories in the country, and we all have decades of experience in performing for weddings. You will always have prompt communication from me, and a top-notch performance from your musicians. All of our contracts/forms/and invoices are e-sign-able and payable online for your protection. I'm here to answer any questions you may have about hiring musicians for your day, and should you decide to have White Pines Entertainment perform for you, I will also be the one who will work with you from start to finish on finalizing all of the details! White Pines Entertainment is ready to provide wonderful live music at your next event. We offer special music for wedding ceremonies and receptions and feature a wide variety of ensembles to fit your every need. The romantic atmosphere created by a live performance can not be replaced by any recording. We are available for both indoor and outdoor events and will always customize for your needs--small and intimate or bold and festive. White Pines Entertainment has been performing throughout Michigan for many years. The group was founded with the vision of providing exceptional musical services for weddings and special events throughout the area. White Pines Entertainment is composed of extremely talented musicians all of whom hold degrees from prestigious universities and conservatories and have years of experience performing in weddings and events. The mission of White Pines Entertainment is to provide outstanding personal service and deliver a flawless performance to create an atmosphere of sophistication, elegance, and grace for your special occasion. We look forward to speaking with your about your special day!